University of Lynchburg’s third annual German Film Festival will be held November 3-7 with the theme,Multicultural Germany. 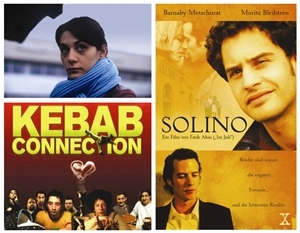 Four films will illustrate the social and cultural changes brought about by increasing numbers of immigrants to Germany. The festival will also feature a concert, “A Night of German Music,” panel discussions, and German refreshments. The festival is free and open to the public.The films will be shown in Hopwood Auditorium, and all have English subtitles. Films are courtesy of Goethe Institute.